After a long battle with multiple myeloma and heart disease, veteran actor Peter Boyle, 71, has died. Born October 18, 1935 and most notably known in recent years as the crabby Frank Barone on TVs Everybody Loves Raymond, Peter Boyle started his acting career in the 1950s after leaving his calling as a Christian monk. In 1970 he received much acclaim for his portrayal of bigot factory worker in the movie Joe and in 1974 played the monster in Mel Brooks’ Young Frankenstein. Supposedly Boyle was in full costume when he met Rolling Stone reporter Loraine Alterman, whom he later married. 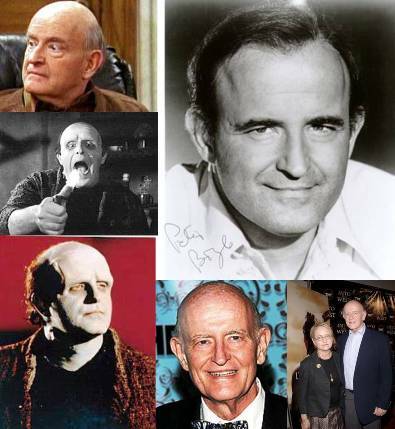 Peter Boyle went on to appear in several movies, including Taxi Driver with Robert DeNiro in 1976, The Shadow with Alec Baldwin in 1994, and as Billie Bob Thorton’s father in Monster’s Ball. Most recently, Peter played Father Time along side Tim Allen’s Santa Claus in The Santa Clause 3. He won an Emmy in 1996 for his appearance on The X-Files. Boyle was nominated for an Outstanding Supporting Actor Emmy in a Comedy Series for his role on Everybody Loves Raymond every year from 1999 to 2003. He is survived by his wife Loraine, and daughters Lucy and Amy. I’d like to thank Peter’s family for sharing him with us for over half a century. The laughs, the ponderings and most of all his warm spirit was well received by almost everyone that saw him preform. I don’t know of a person (although I’m a small person in a large world, so what would I know), in my circles that didn’t see him as a warm and welcoming member of their own family. Thank you again. He will not be forgotten. 51 queries in 1.033 seconds.